Toshiba’s general purpose, totally enclosed fan cooled, NEMA Premium ® efficiency, EQP Global® motor series is Toshiba’s next-edge motor product line. 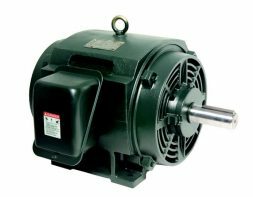 These motors are designed to meet or exceed the competitive demands of the global market as well as the requirements of the Energy Independence & Security Act of 2007 (EISA), while maintaining the high reliability and quality expected from Toshiba. The EQP Global motor series is CE certified, Division 2 Certified and address global motor standards – including NEMA, IEC, and JIS regulations. 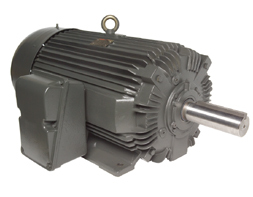 The EQP Global® XP Explosion Proof motor is a totally enclosed fan cooled product line equipped to contain an explosion that may occur inside the motor, as well as prevent explosive gases and vapors from being released into the environment. Its robust construction meets the requirements for UL- and CSA-Listed Hazardous Locations and offers the highest performance and reliability for indoor and outdoor use. 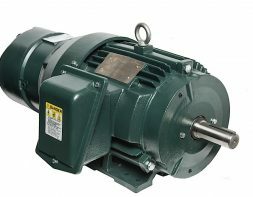 Toshiba’s general purpose, open drip proof motors are designed to meet the industry’s ever-increasing need for improved energy conservation and product reliability. 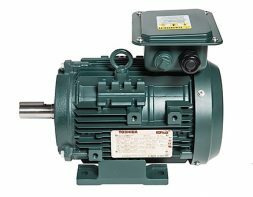 Recommended for indoor use, our general purpose, open drip proof motors are available in High Efficiency, EPACT Efficiency, and our NEMA Premium® Efficiency motor option, the EQPIII. Toshiba’s Open Drip Proof motors include vents to keep liquid or solid particles from falling into the motor. 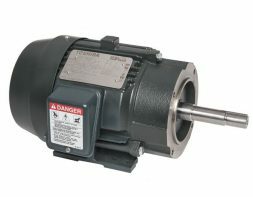 Since the enclosure is considered to be “open” due to the vents, these motors are best suited for indoor use. Toshiba’s low voltage totally enclosed fan cooled line is available in high efficiency at 500 HP and above. This product’s robust design provides a cast iron frame construction and Class F insulation. It offers high torque and low vibration ratings, leading to a longer life and greater reliability. The EQP Global Close-Coupled Pump motor series is designed for close-coupled pumping applications. 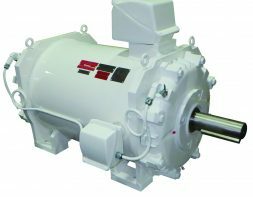 The EQP Global Close-Coupled Pump motor features multiple new design enhancements that make it one of the lowest cost-of-ownership products in the industry. 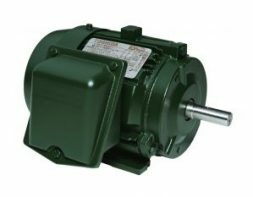 This NEMA Premium® design addresses global motor specifications including CE and NEMA. It offers a dual-frequency 50/60 Hz design, is inverter-duty rated, and offers multi-mount capabilities on 140 through 365 frames. 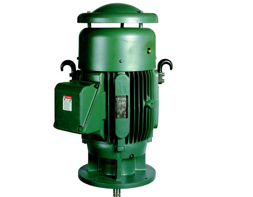 The Oil Well Pump motor is equipped to handle the harshest of environments, including installations in remote locations where the motor cannot be easily accessed. 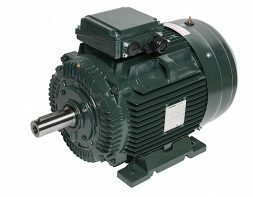 Specifically built for use in the oil and gas industry, these motors offer a high-slip, high-torque design with protective screens to safeguard against outdoor elements. Exceptional corrosion-resistance and high structural rigidity are inherent in this type of motor, and reliability and durability are critical factors that differentiate this product from competitors’ offerings. 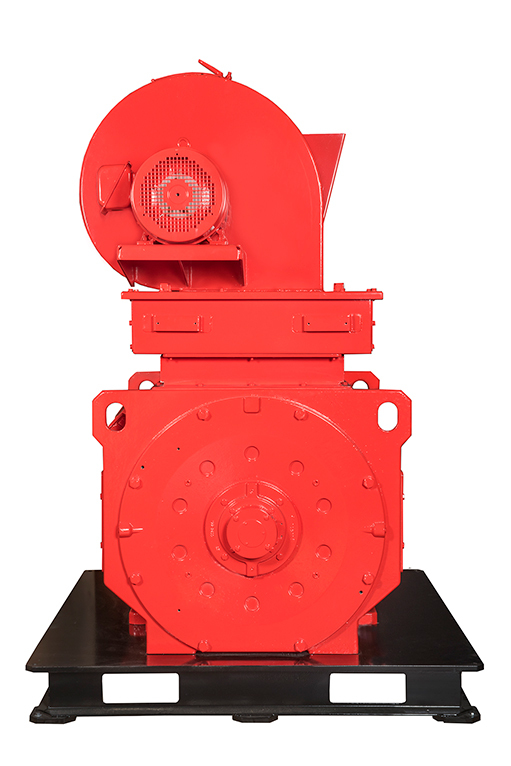 The Quarry Duty motor utilizes a totally enclosed fan cooled design and provides exceptional high-starting torque, oversized superior-grade roller bearing, and shafts built with high strength 4142 steel to withstand the harshest industrial and mining environments. The roller bearing on the motor’s drive-end allow for heavy radial loads normally associated with belt-driven applications. These key features allow our Quarry Duty motors to provide optimum reliability, performance, and efficiency for the toughest aggregate and mining operations. This product line is built to withstand the toughest conditions and offers some of the highest efficiency and torque ratings—leading to a longer life and greater reliability. In addition, our LP design meets API 610 specifications for chemical processing applications, and all motors include a patent-pending lubrication system that provides improved flow and circulation of grease and oil for longer bearing life. 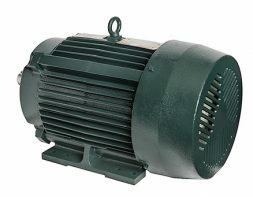 The Vertical P-Base motor can be used in indoor and outdoor applications, and is available in standard and premium efficiencies. Toshiba’s definite purpose, totally enclosed fan cooled, NEMA® Premium efficiency, Brake Motor series is designed to meet the needs of general holding applications. This product line is built to withstand the toughest conditions and offers some of the highest efficiency and torque ratings while producing some of the lowest vibration ratings in the industry – leading to a longer life and greater reliability. The Brake Motor series is suitable for indoor and outdoor use. Toshiba’s definite purpose, open drip-proof, high efficiency, Dry Kiln motor series incorporates a new and improved insulation system into the premium open drip-proof design. This allows the motor to run in high ambient temperatures (115° and 135°C) and meets the ever-increasing demands of the lumber industry. The Dry Kiln motor series is designed for the internal harsh environments of the lumber drying kilns, where the motor’s corrosion resistance and high structural rigidity allow for exceptional performance in any dry kiln environment with high ambient temperatures, high humidity, and chemicals. As with other Toshiba designs, reliability and durability are critical factors that differentiate this product from competitors’ offerings. 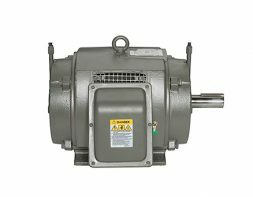 Toshiba offers Totally Enclosed Water-Cooled (TEWC) severe duty motors in 75 to 800 horsepower and up to 7200 volts. Toshiba TEWC motors are manufactured to stringent specifications and are an ideal choice for use with mining applications, tunnel boring machines, and die-cast molding presses. 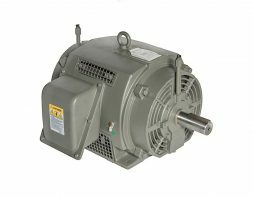 These advanced design motors are built to minimize exhaust heat and produce higher horsepower within and smaller footprint. Toshiba’s AC Drill Rig Motor is a force ventilated three-phase alternating-current induction motor for use in the oil and gas industry for land based drilling rig, mud pump, draw-works duty, and fracking applications. The Tosh-ECO IEC motor product line is designed to meet or exceed the requirements of IEC measurement standard 60034 while maintaining the high reliability and quality expected from Toshiba. 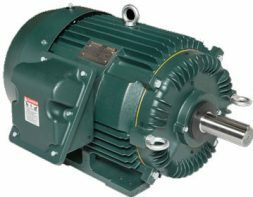 Ideal for severe duty applications, these motors feature multiple new design enhancements that result in one of the lowest cost-of-ownership products in the industry. Toshiba also provides solutions and Global Supply Chain Management Systems (GSCMS) to meet the evolving needs of global customers. Tosh-ECO IEC motors are available in a range of global IEC standards such as IEC 60034, 60072, 60204-1, 60038, & 60721 (where applicable). 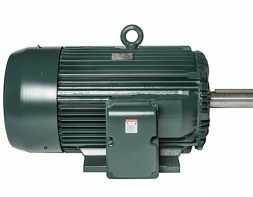 The renowned Toshiba EQP Global low voltage motors includes IEC motors compliant with the requirements of IEC 60034, designed for severe duty applications and featuring IP55 ingress protection and a totally enclosed fan cooled (TEFC) enclosure.